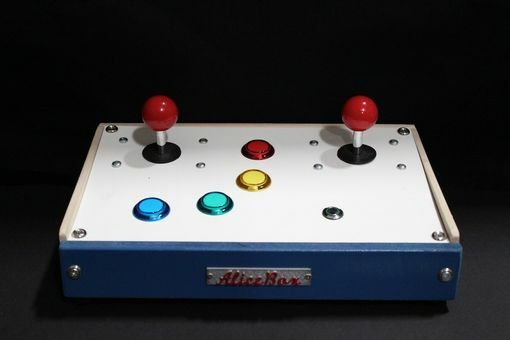 A smaller two-joystick deck with 4 game buttons and one lighted mode/player button. Half the size of the Dual-Stick Natural. Casing can be natural wood or can be painted. 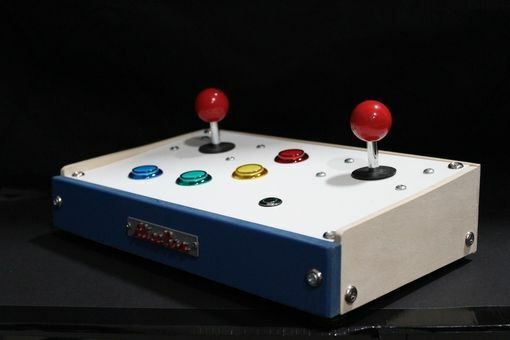 Deck configuration (number of and placement of buttons, joystick placement) can be customized. USB - Works with Mac and PC.